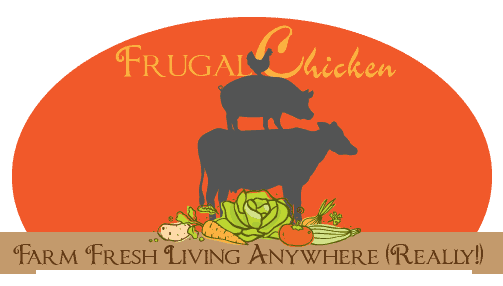 You are here: Home / Our Animals / Chickens / Do Chickens Need Heat In Winter? Let’s Keep ‘Em Safe! Do chicken coops need heat? 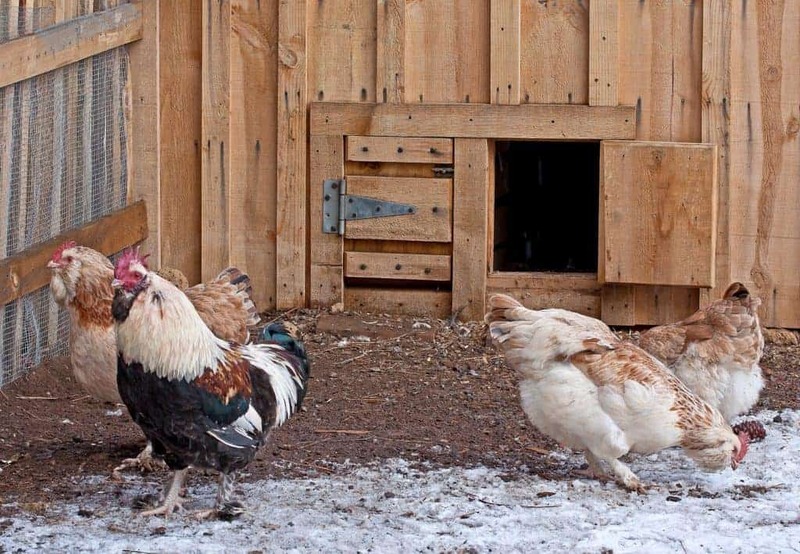 What Does a Chicken Coop Need in Winter? Winter is a tricky time on the homestead because you’re navigating through cold weather, wet weather, snowy weather – sometimes all in the same day. Over the years, I’ve come to realize that cold weather isn’t much of an issue with chickens….but cold WET weather can be deadly. Every winter, I spend half my time wringing my hands because our chickens play outside when it’s freezing rain, and don’t have enough sense to go into the coop when the temperature drops further. We haven’t lost a chicken to the cold yet (knock on wood), but I do stress in the winter months over their health. So, to solve the question “do chickens need heat in winter”, the answer I’ll give you is: It depends. In short, yes. Chickens do quite well in freezing temperatures. They have natural defenses against the cold, and their feathers provide protection. Well, over winter, you might notice your chickens fluffing and ruffling their feathers. This isn’t just to make them look cute (although they do). When your flock puffs their feathers, they’re creating a gap of air, which acts like a layer of insulation between them and the cold. During the day, your flock likely will move around a lot; this keeps their bodies even warmer, including their feet, combs, and wattles. At night, when they’re quiet, your chickens will keep their feet warm by crouching over them and insulating them with their feathers. As for their combs and wattles, you probably will notice your chickens tucking their heads into their wings at night to protect them from frostbite. So, chickens naturally are pretty prepared for cold weather. I’m personally not a fan of heating chicken coops, and I think heat lamps are fire hazards. We don’t heat ours. Before I got wise to the dangers of heat lamps, more than once we woke up to a house filled with smoke because a chick or a piglet messed around and knocked the heat lamp over – and these were heat lamps with regular 75 watt bulbs in them. So, that gives you some indication just how dangerous they are – and they’re exponentially MORE dangerous with the red heat lamp bulbs. The red heat bulbs get extremely hot – we’ve tested their temperatures as high as 140 degrees before. Chickens like to constantly reinforce their pecking orders, and all it takes is one careless hen to knock over a heat lamp and cause a fire. Every winter, I’m sent photos of coops totally destroyed in a heat lamp fire – and the owner’s flock is totally gone. I’m just plain not a fan of chicken coop heat lamps. In most cases, chickens don’t need heat in winter, EXCEPT if you live in a very cold environment, such as parts of Minnesota or Canada that can easily reach -30 degrees F.
If you’re concerned your flock won’t be warm enough on particularly cold nights, offer your chickens some extra feed or cracked corn so they have extra calories to burn. You can also feed your flock an extra meal or offer their grain free choice to keep their calorie count up. Need some chicken treat recipe ideas? Check out my ebook Cluck Cakes! More so than any other type of winter weather, freezing rain can devastate your flock. And chickens, unfortunately, don’t always have enough sense to keep out of freezing rain. Last winter was terrible with cold rains in freezing temperatures, and more than once, we had to run out and cover the runs with huge tarps to keep the rain from hitting our birds. While in snow and cold wind chickens can fluff their feathers, if they’re doused with water from a cold rain, they have a harder time fluffing their feathers – and it can dangerously lower their body temperatures and cause stress on their bodies. It’s hard to get your flock dry in cold weather once they’ve gotten drenched. When there’s freezing rain in the forecast, our flock stays inside the coop for the day with some extra treats and boredom busters. If your chickens DO become wet in cold weather, then I recommend using a heat lamp for a couple hours and toweling everyone off (if you don’t have too many). Once everyone’s dry, then remove the heat lamp and keep them inside until the weather is better. Ok, now that we’ve established my deep and unrelenting hatred of heat lamps, let’s talk about how you CAN protect your flock over winter. While your flock will naturally insulate themselves by fluffing their feathers, that doesn’t mean they’re immune to cold breezes. One of the best ways you can protect your flock is by giving them a draft-free coop. Before cold sets in, go over your coop. If it has windows, are they sealed well? Does their door shut well at night? Are there any gaps in the walls that can cause drafts? Is the floor solid? Does it have holes? Does the roof keep the coop dry? When the chilly winds pick up, your flock will thank you for taking the time to eliminate any drafts from their house. They’ll thank you even more for making sure that any cold rain or snow can’t get into their coop, so be sure to double check their roof and keep windows and doors closed when the winter weather gets really nasty. You should also make sure your coop has adequate ventilation. Because chickens will naturally stay inside their coop more during the winter, they’re more likely to drop manure inside their home….and breathe the noxious fumes of ammonia. Keeping the coop clean and ensuring there’s adequate ventilation will help prevent any respiratory problems from creeping up. Frostbite is caused by cold combined with moisture, either from something like rain or moisture from the buildup of manure. Like any other living organism, chickens are at risk for frostbite over winter, particularly on their combs, wattles, and legs. All is not lost however. Frostbite CAN be prevented by coating the combs and wattles in a thick layer of petroleum jelly….if your chickens will sit still long enough. When it comes to the question “do chickens need heat in the winter?,” the question isn’t just about your flock. Eggs can easily freeze when the mercury dips, causing them to explode and become useless, so you should take extra care to gather eggs multiple times during the day. If they are frozen, but unbroken, then let them thaw gently at room temperature. If they’re broken, then they can be fed to your chickens, other critters (like pigs), or composted. Keeping your flock prepared for nasty weather is critical to helping your flock survive winter. The bottom line is keep them dry, keep their home dry, and give them extra feed, and they’ll do just fine when the cold temperatures hit. Do CHICKS need a heat lamp? Well, that’s a whole other story. Check out my Podcast on Raising Chicks Naturally for some advice on heat lamps for chicks! Did you ever wonder “Do chickens need heat in winter?” Do you have any tips to share? Leave a comment below! Hassanpour H, Khalaji-Pirbalouty V, Nasiri L, Mohebbi A, Bahadoran S. “Oxidant and enzymatic antioxidant status (gene expression and activity) in the brain of chickens with cold-induced pulmonary hypertension.” Int J Biometeorol. 2015 Nov;59(11):1615-21. doi: 10.1007/s00484-015-0968-z. Epub 2015 May 5. Accessed August 30, 2016. Want to learn more about how to raise chickens naturally? The Backyard Chicken Bundle includes 5 individual ebooks about raising chickens, checklists, videos, and more! 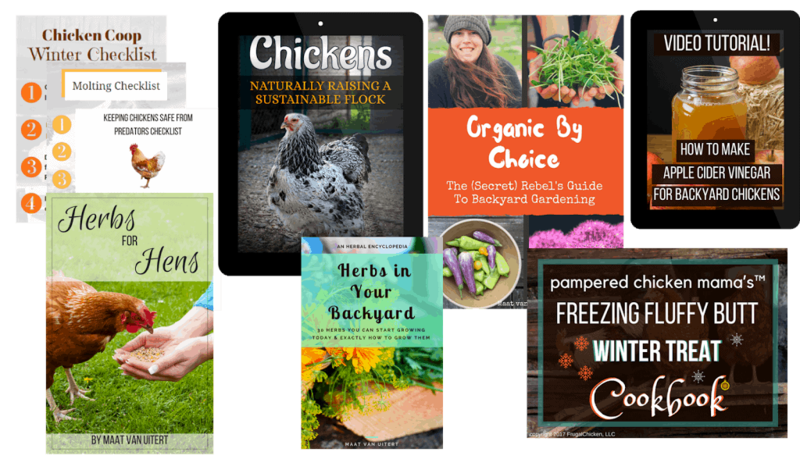 With gorgeous full color photographs, charts, and recipes for all-natural coop cleaners, layer feeds, herbal first aid salves, and more, it’s $250 worth of valuable resources a chicken mama needs in one place! Click here to purchase the Backyard Chicken Bundle. Do Chickens Need Heat In Winter? Let's Keep 'Em Safe! 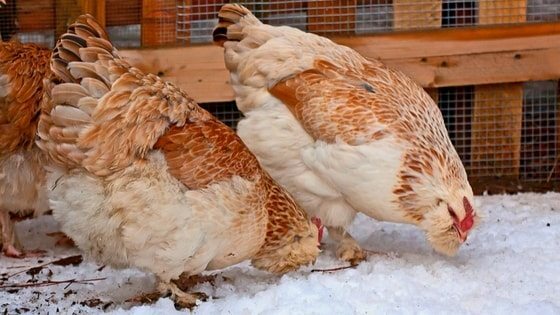 Wondering “do chickens need heat in winter?” Cold weather can be tricky when it comes to your hens. Here's how to keep them safe when the mercury drops. I got them (6 girls at the moment, had 7, but one die of heat, which will never happen again) a window AC/Heater which we will install in there new chicken coop which is a Tuff Shed 16×20 with a 40x100x6 feet tall chicken run, all chain link including the top. Is there anything special I need to do to keep them safe and healthy? We are getting it ready for them, working on the insulation and drywall at the moment and hopefully they will be moving in some time this month (September 2016). Please help with any suggestions. Thank you. THAT’S HUGE!! I HAVE 9 IN AN 8X10 SHED. THEY FREE RANGE DURING THE DAY IN OUR PRIVACY FENCED YARD. Chickens don’t need heat or air. If they are provided with shade and plenty of water in hot weather and access to a shaded area outside they will handle the heat fine. We live in upstate Pa where below 32 is common and below 20 or even minus digits is fairly common. I have learned to cover all but one window which is not windy side facing , keep litter clean and changed weekly offer plenty of feed plus scratch grain and keep the ice off of water. Twice a day I take out warm water. Give extra treats like hang a cabbage or alfalfa hay. We really don’t need to spend extra on heat or cool. I have raised chickens for 11 years. If they have enough and good food and green like salad and everytime “icefree” water, they love to scratch in the yard and to be outside. What is the specific difference between a draft and ventilation, they are both the movement of air,… I am confused on this area, and would love some precise clarification and examples of both so we can build the best and safest coop for our upstate NY winters. Thanks! Hi JT, for ventilation, you can use windows that open and close. A draft would be caused by an open window with no pane, or way to close it. Its important to have a way to air out the coop but still create a warm home when the winds pick up. Great Question! Hope this helps! We live in south east Louisiana. Our 3 chickens have a very small coop that they only lay their eggs in.Since our weather is so hot, they prefer to roost in the oak tree above at night. At what temperature should I start worrying about getting them back in the coop at night. Hi Kathy, if it gets well below zero degrees, or if it’s below 32 degrees and there’s big gusts of wind, if there’s freezing rain, or if it’s cold and raining I would try to get them into shelter. So this is my first winter with chickens . I started with 2 heating lamps thinking that they needed them. It is now January in Montana. The cold temps have made me nervous about my chickens and if they are doing alright in the recent cold here. It has been getting into cold snaps where it is -11 at night and a high of -2 at day. On “warmer” days it gets mid to high teens and lows single digits. Is this to cold for them. I have lost one chicken this winter and now my flock is quiet . I have been trying to research when its to cold for chickens but cant seem to find anything for the northern states. A few weeks ago the temps where below -11 with highs of -2 or below… I have seen a lot of days the high is O . This is in F degrees. I’m just now unplugged both heating lamps ( which I don’t think where doing much good with keeping much warm in the cold) and have put a alternative white light that I will be turning off at night. I give them chicken scratch in the morning and evening. So you think they will handle the cold or do I need to plug the lamps back on? If you’re only feeding scratch, then they will need a better quality diet than that. Scratch has about 9% protein in it. They should be getting feed that has at least 16% protein in it. So, more than the heat lamps, that’s what they need. I’m going to try straw bails…I’m working on lining the run with them as a wind break and I was told as they break down they will produce heat. I will use whatever is left as compost for the garden in the spring. I’m also going to rotate a few into the coop on cold nights. It a good Idea to ck the temp in the coop…. most of the time its a lot warmer that outside, so no need to worry.. the girls heat it up. I use deep saw dust., . let them help turn it by throwing in scratch every now and then.. It keeps the coop warm and cosy!! Thats the best way Ive found to keep clean and warm. I have 23 big girls and 20- 10 week olds coming up.. I add a mix of calundula flower, tumeric, parsley flackes, flax seed, chili pepper, mustard seed and bee pollen to there feed. There eggs are so yellow and whip up amazing!! They get lots of fresh greens, seeds,squah and pumpkins this time of year. ( Ya , I spoil them.) but I eat there eggs, so i want them to be healthy..